And having spent eight years with Daisy – who was really sensitive to noise and HATED fireworks – I’m very aware of the anxiety this brings. Making a cosy den is something you can do for dogs and cats. For Daisy, we bought a blackout crate cover with roll up doors – you can have the cover down or up and it muffles sound. It’s in our living room, he goes in and out of it whenever he pleases and we don’t shut the doors – it’s his ‘bedroom’ and a place to relax and feel safe. For cats, having an igloo style hideaway which is higher up can make them feel more comfortable. Animal Instincts do a very reasonable one for £14.97that could be put on shelves or drawers. 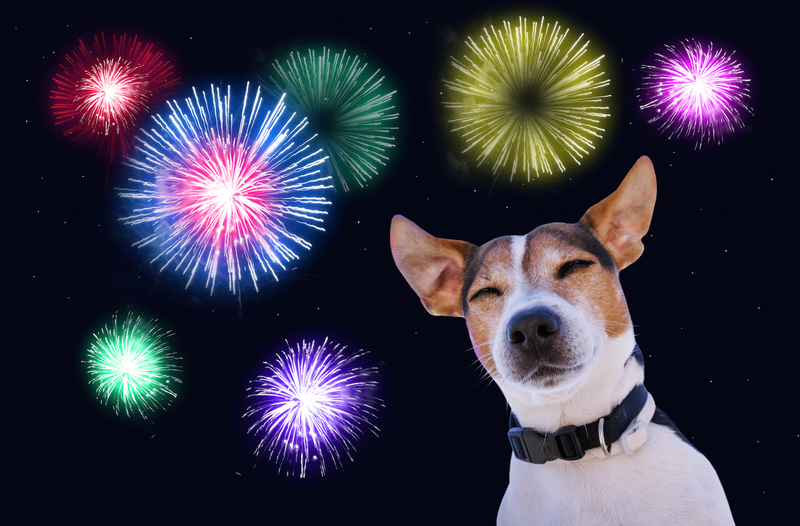 So ensure your dog has most of their exercise in daylight – before people feel the need to set off fireworks. It’s recommended that they’re used a month before you expect your pet to experience anxiety, so start using them now and expect to see a change in a week. Dog appeasing pheromones – those released by their mother while in the litter which dogs find a comfort from being puppies throughout their lives – are released by both products. If you have any tips that have helped your pet, we’d love to hear them so please pop a comment below or share on our Facebook, Twitter or Instagrampage.